mission. All willing agents are required to meet at a hidden location. There, we will have the task of deciphering messages. All is at stake... or at least our chances of ordering our next round of cocktails! 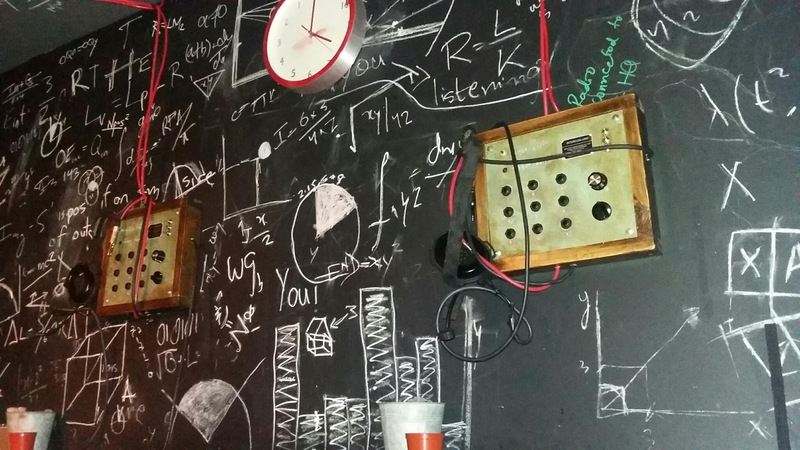 The above was my train of thought on entering The Bletchley, an underground bar in London. A group of us were looking for somewhere different to go for our friend's birthday and a spy-themed cocktail bar seemed liked just the place. From reserving a table on the website, £29.99 per person, The Bletchley draws you into a hidden, mysterious world, where you only find out where to enter the bar on completion of your booking. On arrival we were greated by a fellow agent (a member of bar staff) who acquainted us with our mission. He was dressed in a WWII army-themed outfit like the rest of his colleagues. The whole room was styled as if it were an agents' hideaway with walls adourned with chalked codes and symbols, and apparatus and furnishings that appeared to be from the 1940s. There were even jackets ready for us to wear at our table. With our surroundings and tables of people already appearing to be having a merry old time, it didn't take much to get into character. Our assignment consisted of three codes to decipher using a machine for enigma codes. If you have ever watched the film The Imitation Game, it resembles the little machine used at the end. We also had to look for clues all around us and speak to our 'lead agent' (the bar staff) via an old head set on the wall. However, we could only operate it if we had completed each stage of our mission and therefore inserted its black and red wires into the correctly numbered sockets. This made for some very humorous moments. As the night went on and arguably as we became more inebriated the tasks got harder, but we did find out that our machine stopped working halfway through the evening, so our lack of espionage ability wasn't soley to blame. Luckily, that little mishap did not impact the whole experience and the staff's ability to stay in character even while helping us with the machine and then replacing it was impressive. We were able to stay over the alotted time of two hours, perhaps because we didn't go during the bar's peak hours. A welcome cocktail and two customised cocktails are included in the £29.99, which is very reasonable for a unique night out in central London's King's road. The Bletchley is not the place to go every weekend but every now and again for a memorable experience full of laughs and fun. 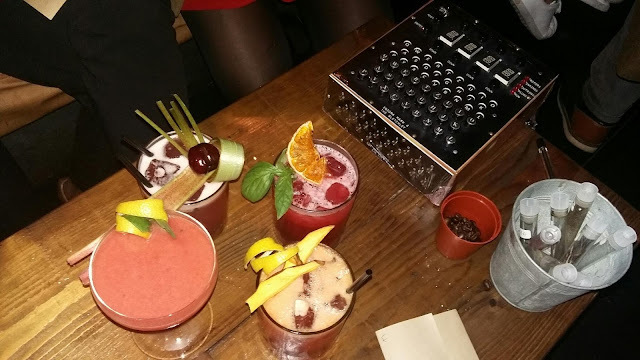 It has the potential to offer something different on each visit as the customised drinks can never be made exactly the same. Also, your assignment changes depending on where you sit and what apparatus are in your area for you to use. The Bletchley has shown how an evening of drinks and games can be perfectly combined. I would go back when the urge to be a spy takes me again.